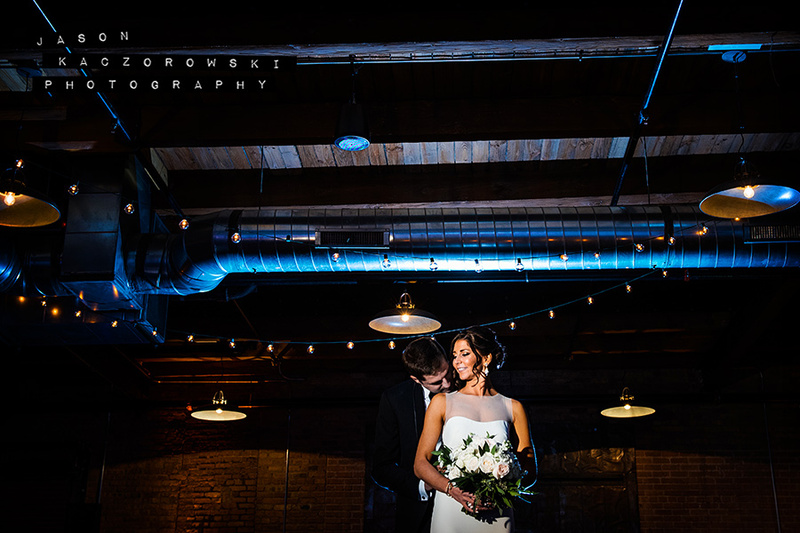 Elaine and Rob’s wedding marked the end of my busiest and most creative year ever and I couldn’t have asked for a more kind, genuine and loving couple to send 2016 out with a bang! 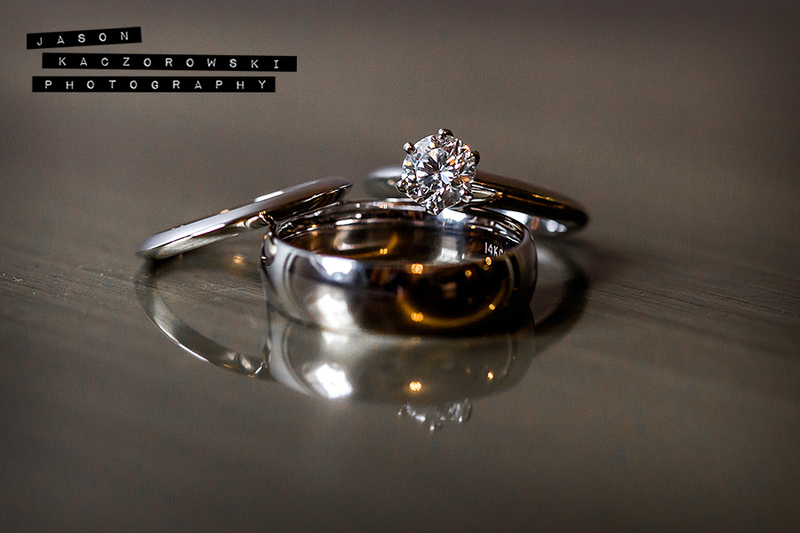 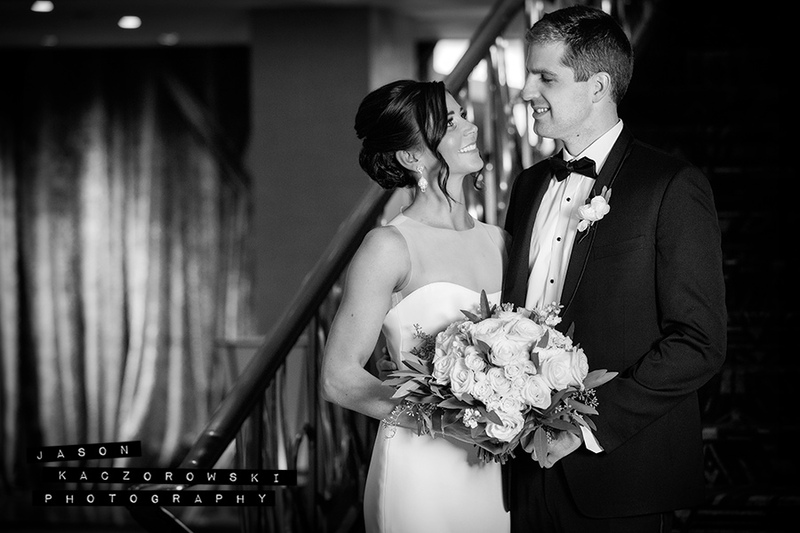 Thanks Rob & Elaine! 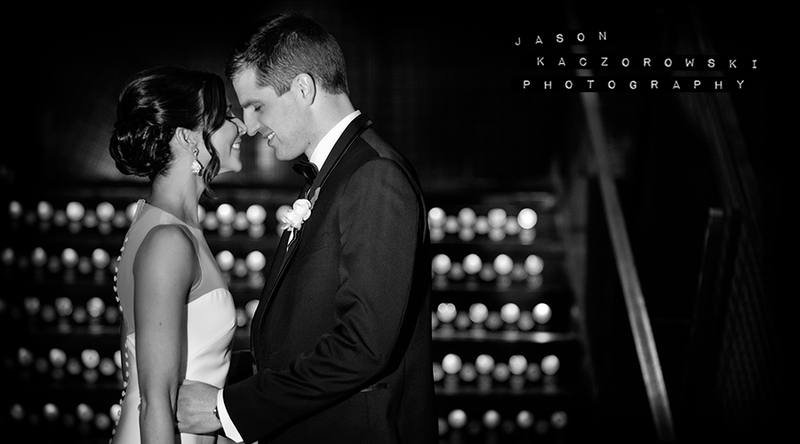 We hope you enjoy these highlights as much as we enjoyed capturing them. 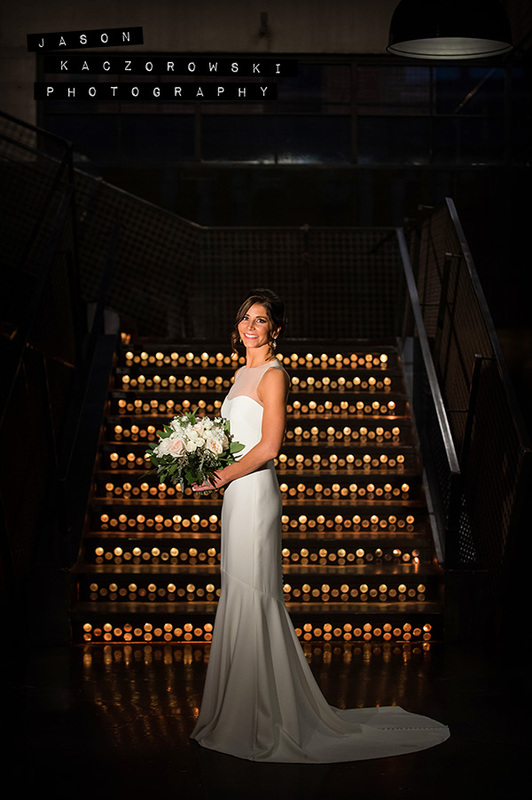 Have an incredibly romantic time on your honeymoon in Australia! 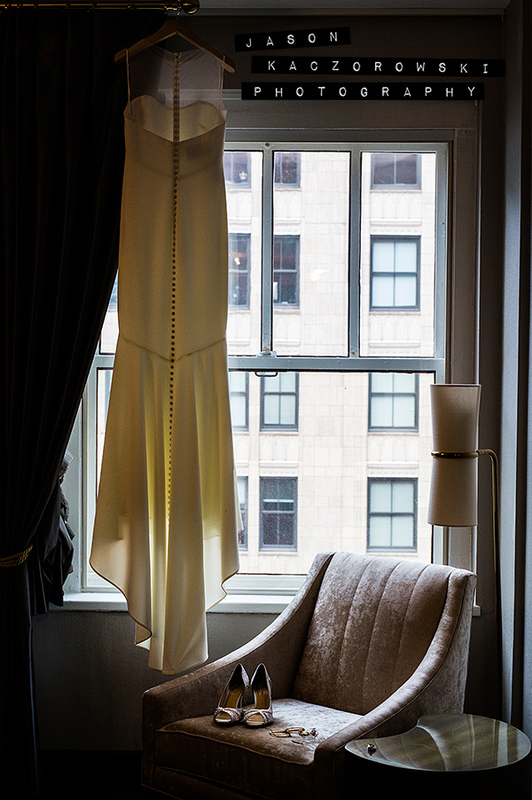 (above) Rob sits in front of “Lady Lucent of Awakening” which was created by Chicago artist, Sarah Raskey. 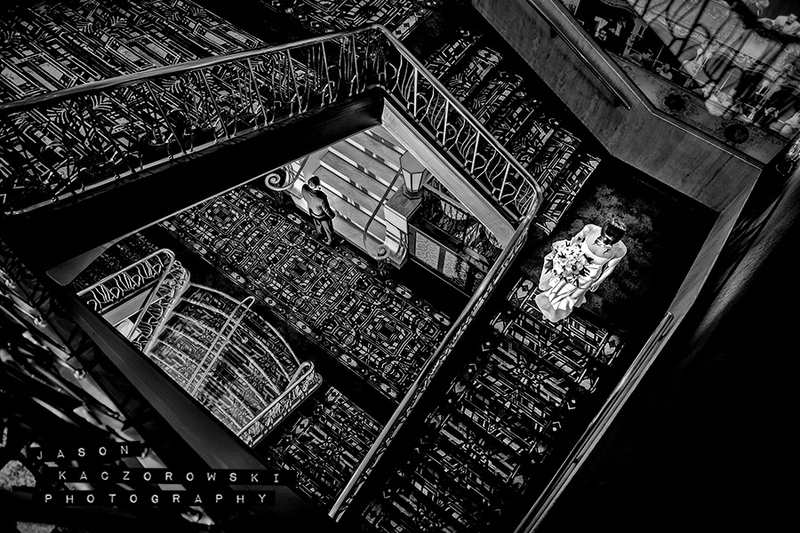 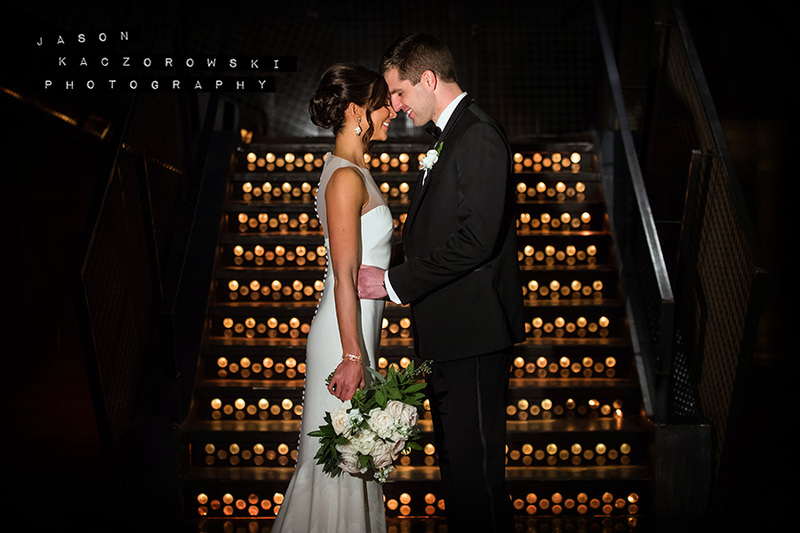 (above) Elaine and Rob shared their first look on the newly renovated three story grand staircase of the Hotel Allegro. 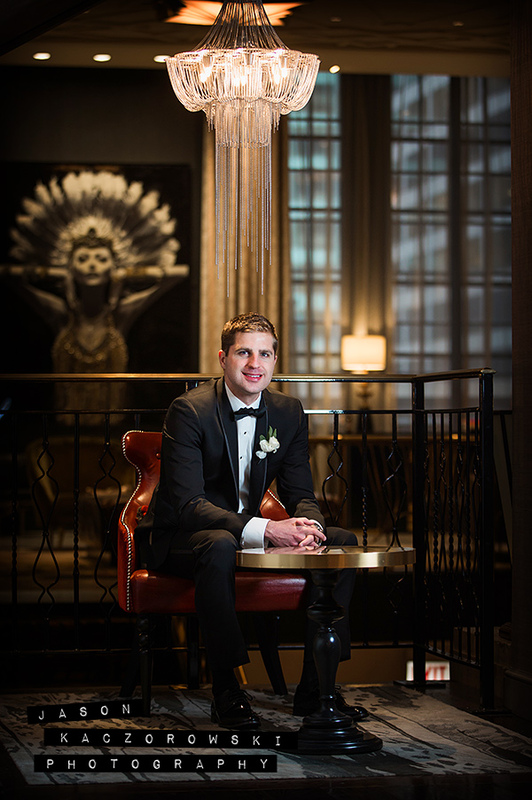 The hotel, which opened in 1926, recently wrapped up a 15 million dollar art deco-inspired renovation in 2015. 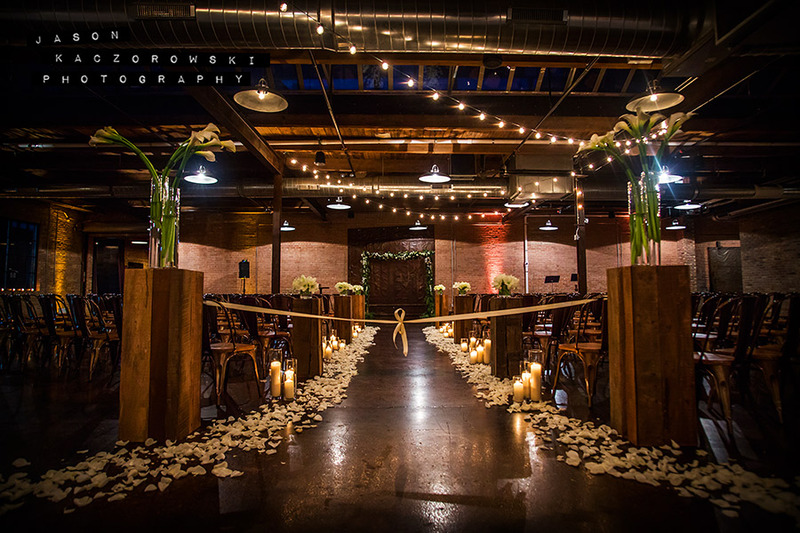 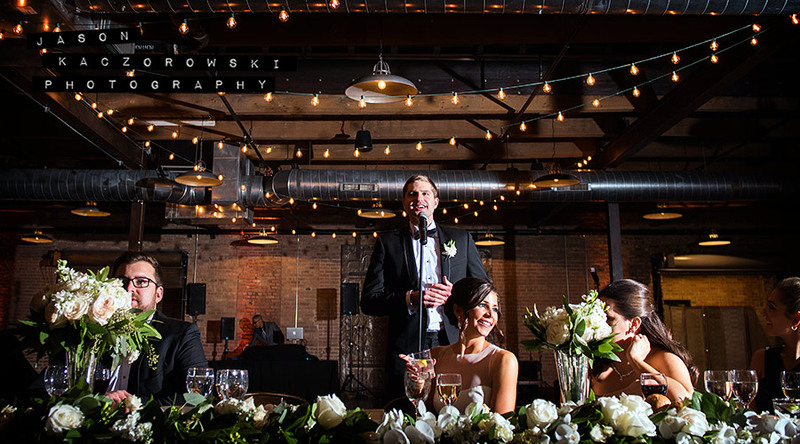 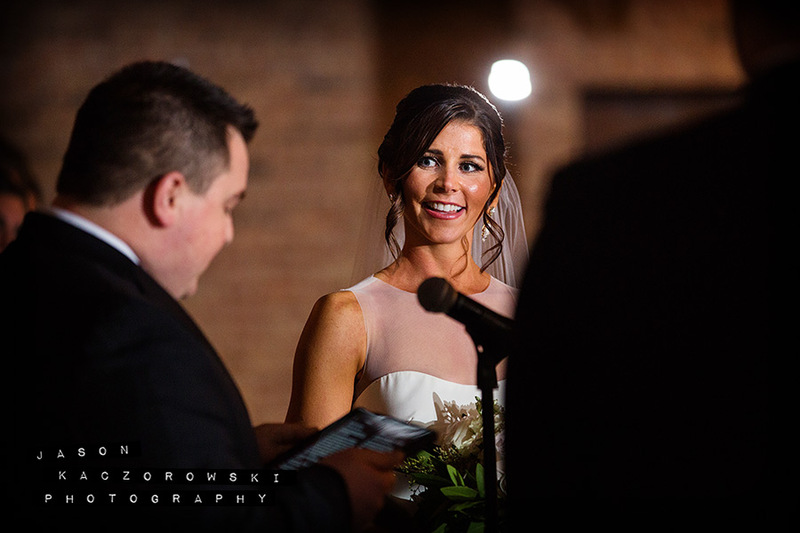 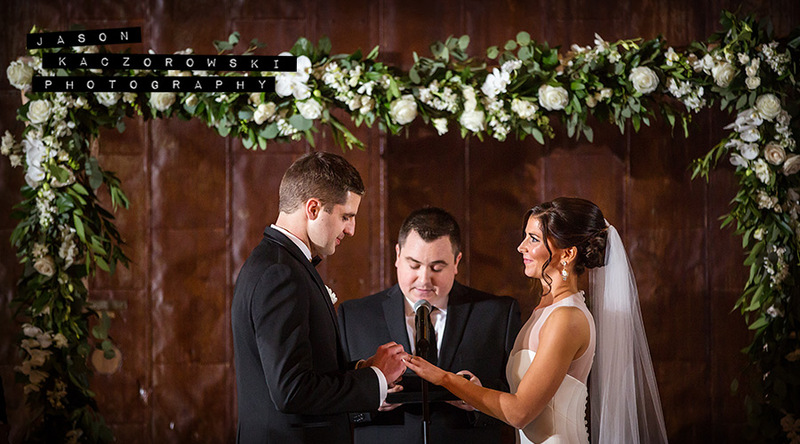 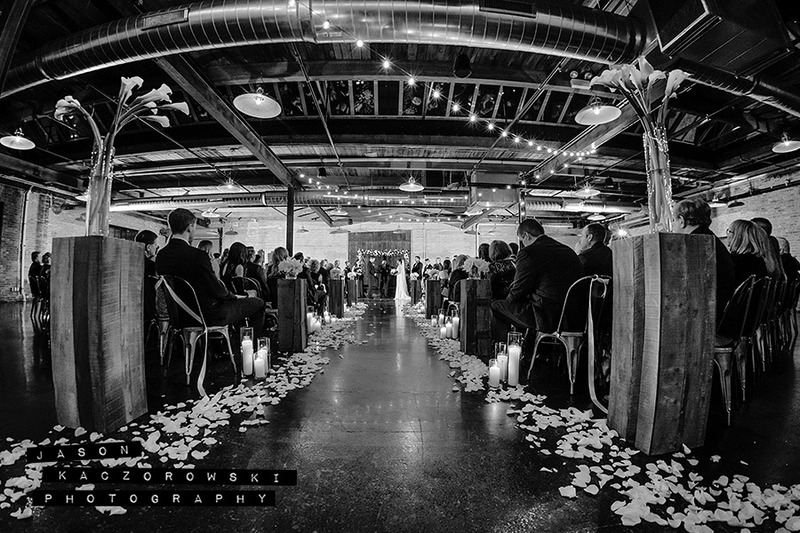 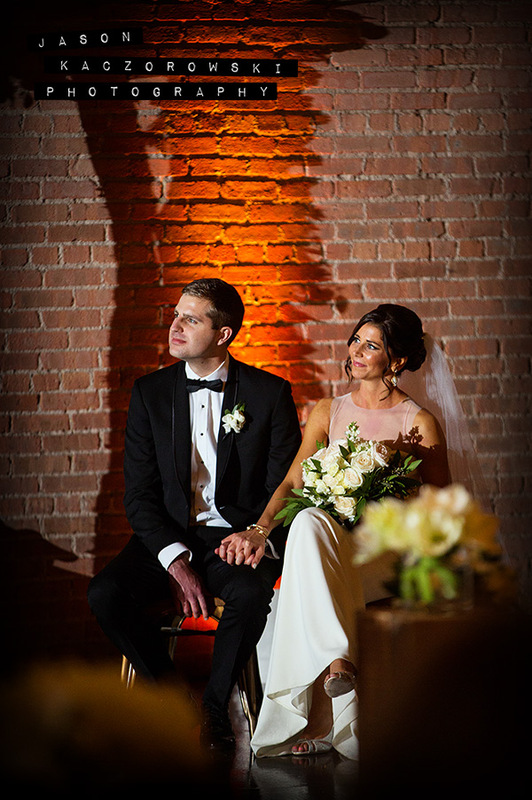 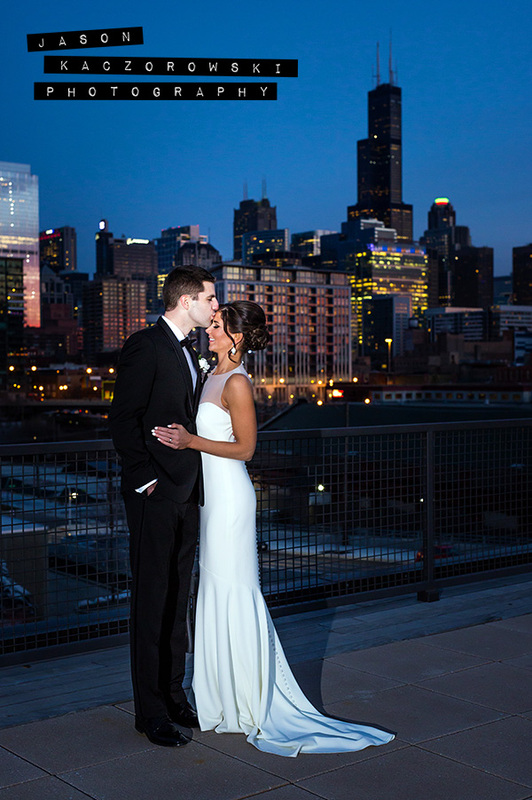 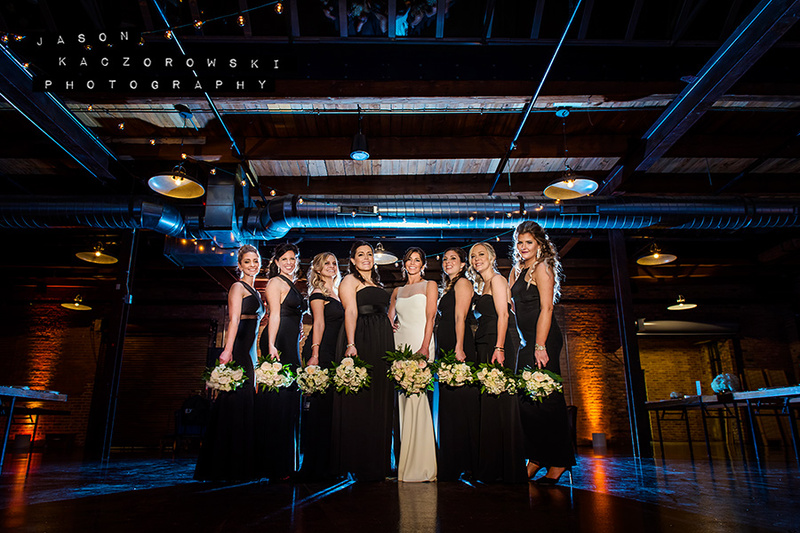 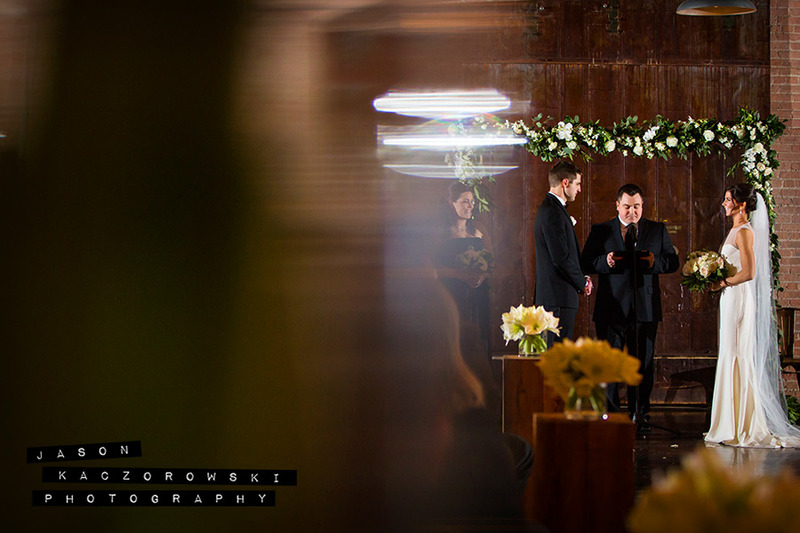 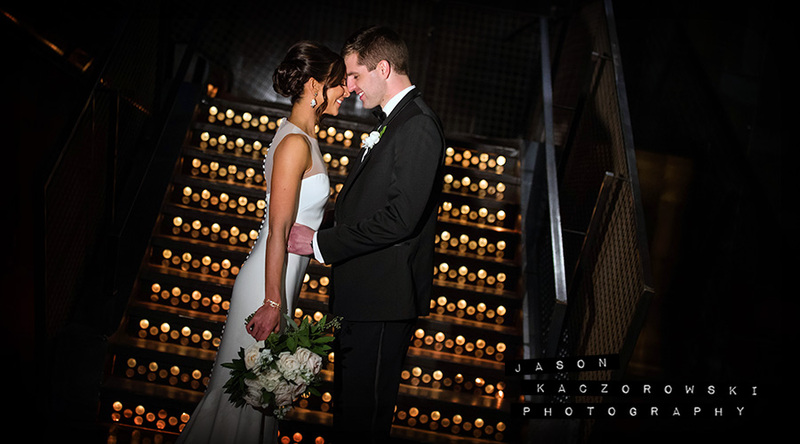 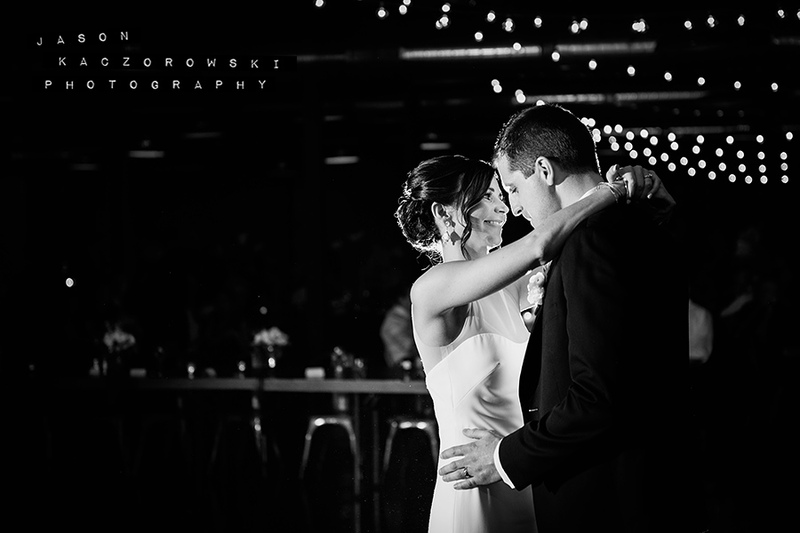 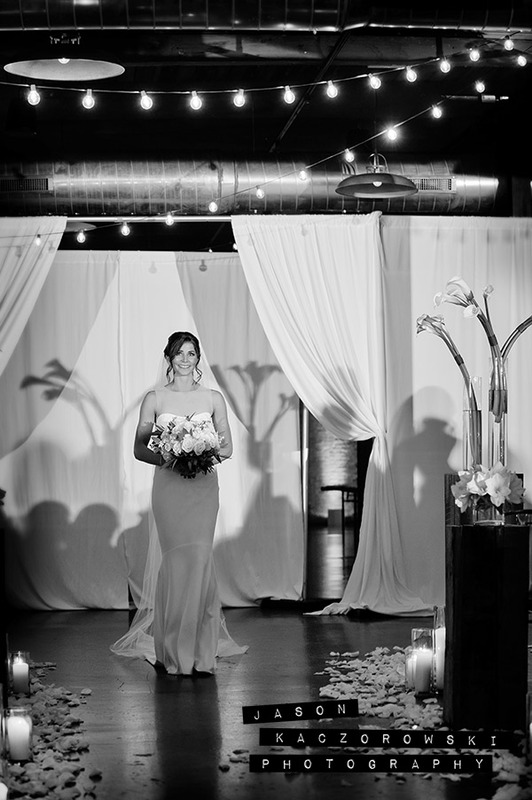 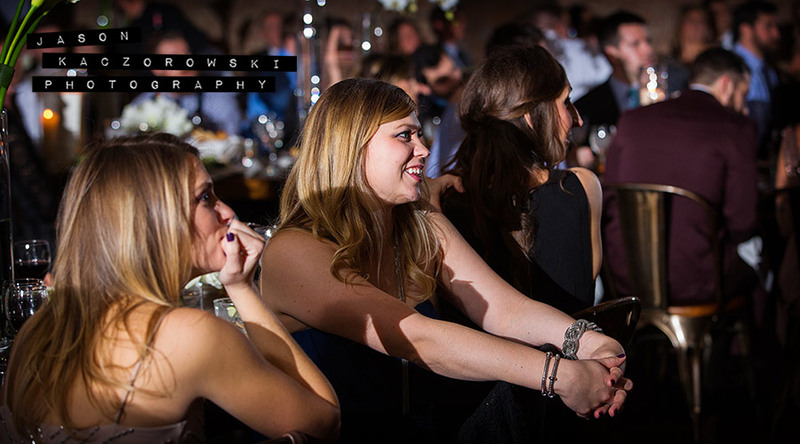 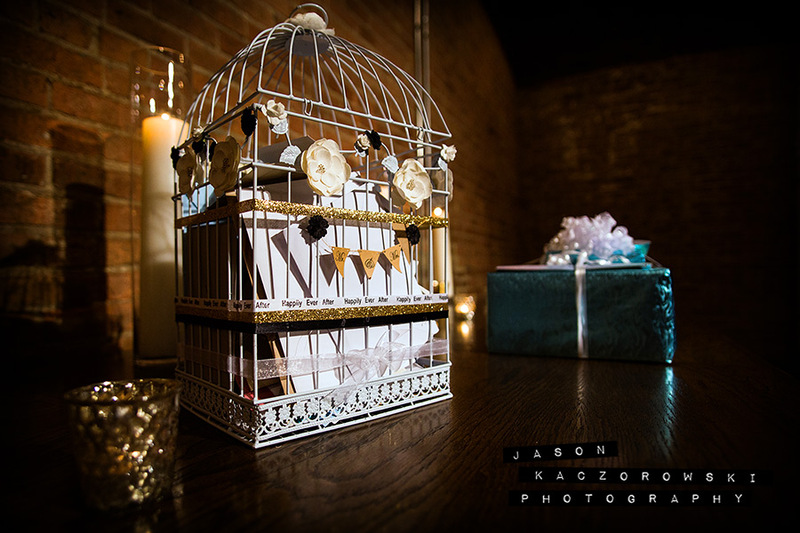 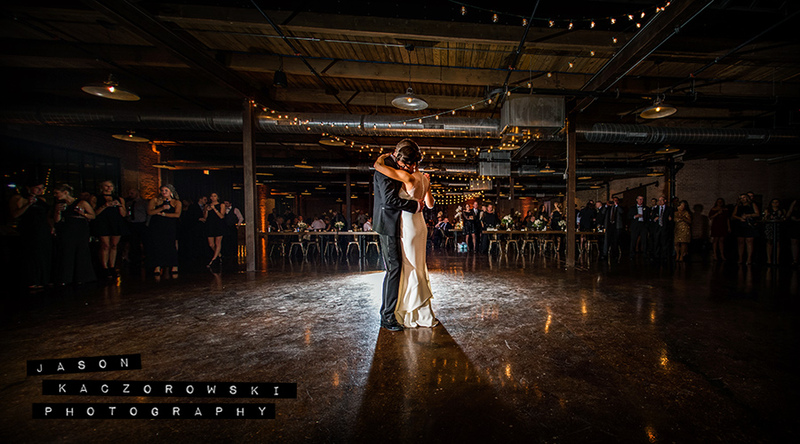 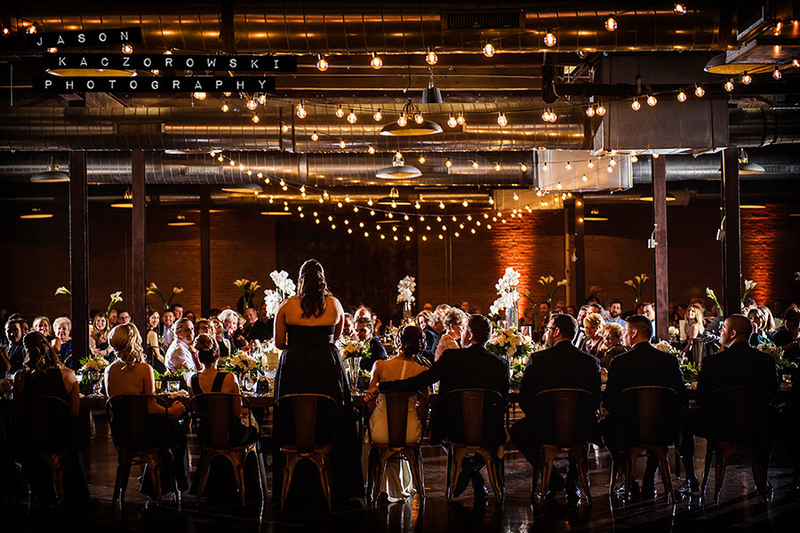 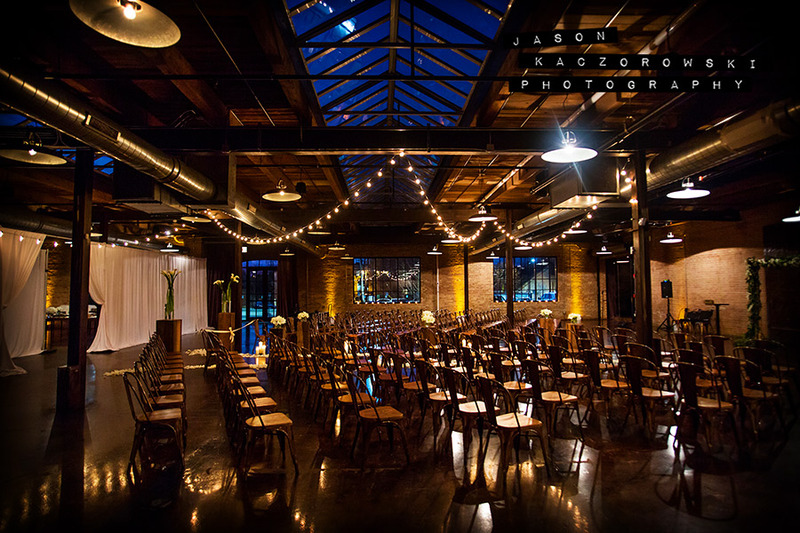 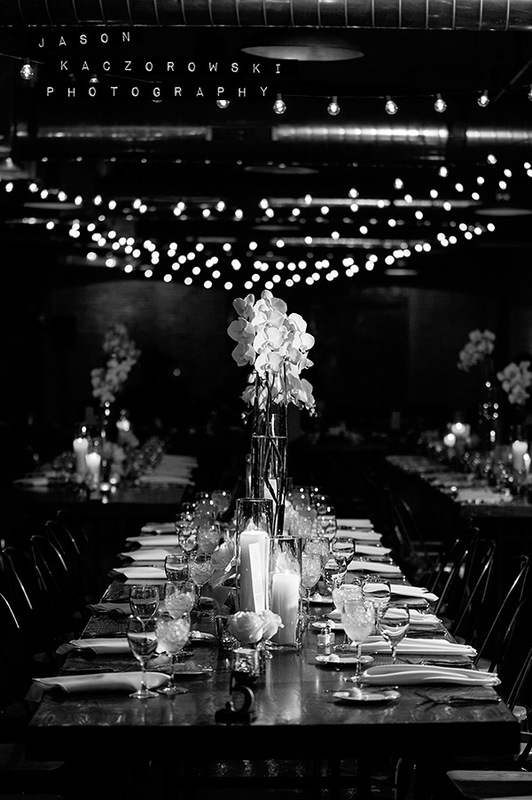 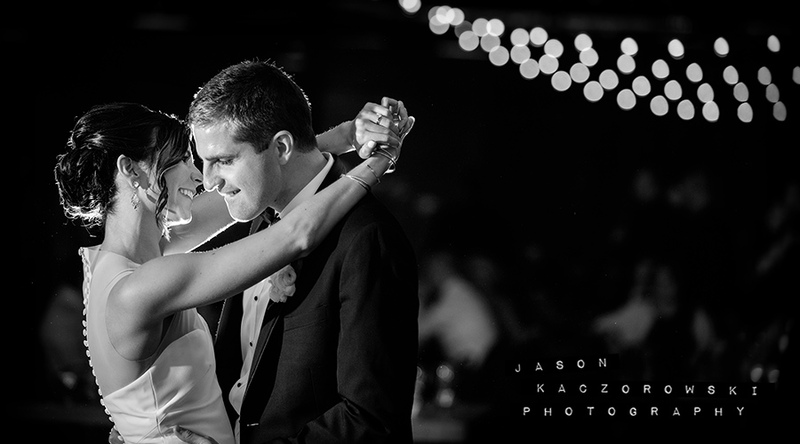 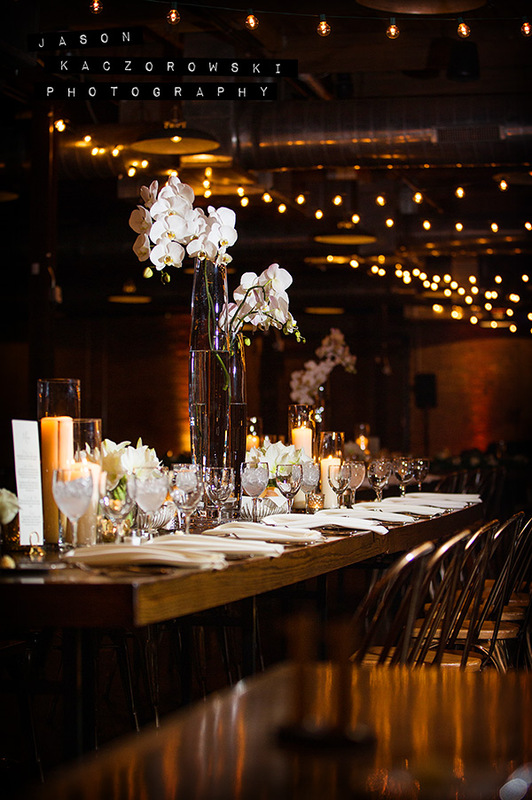 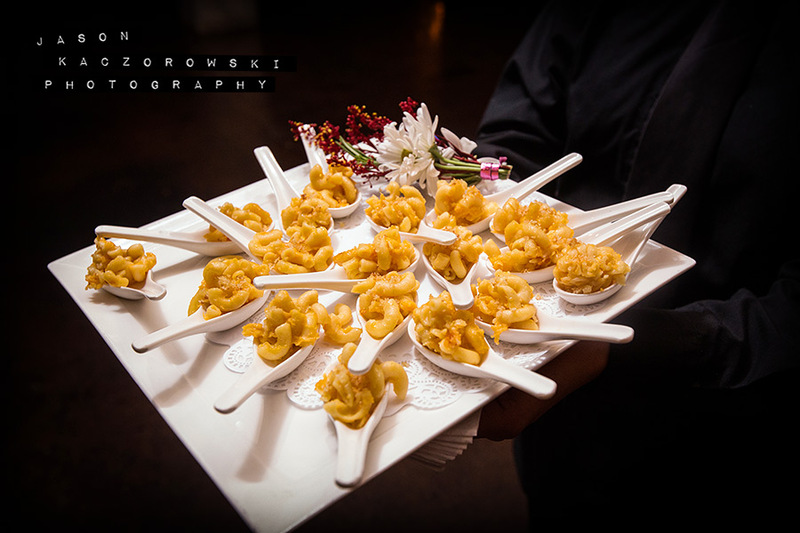 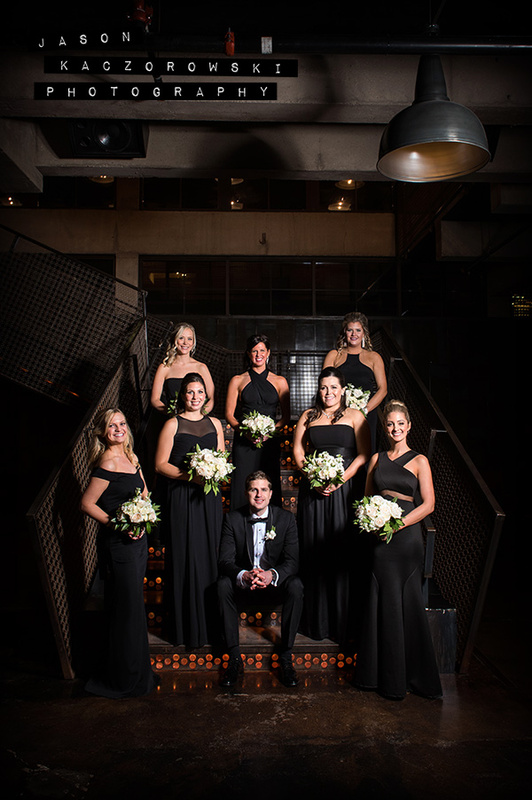 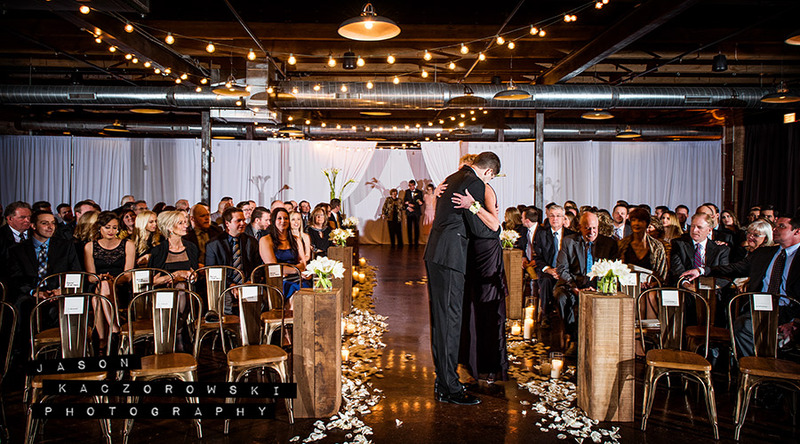 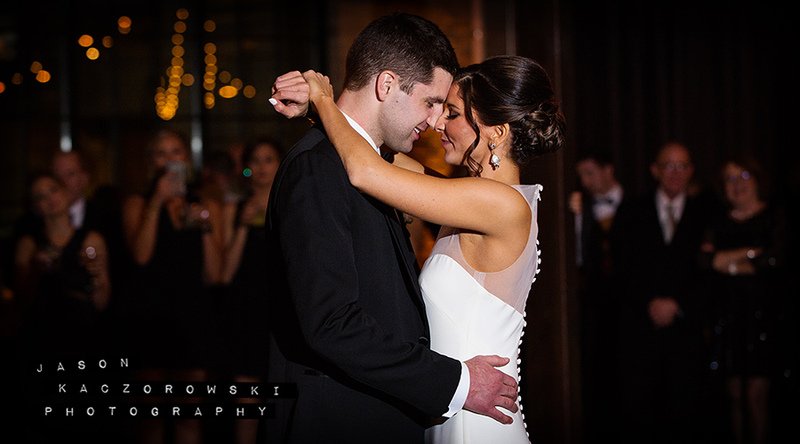 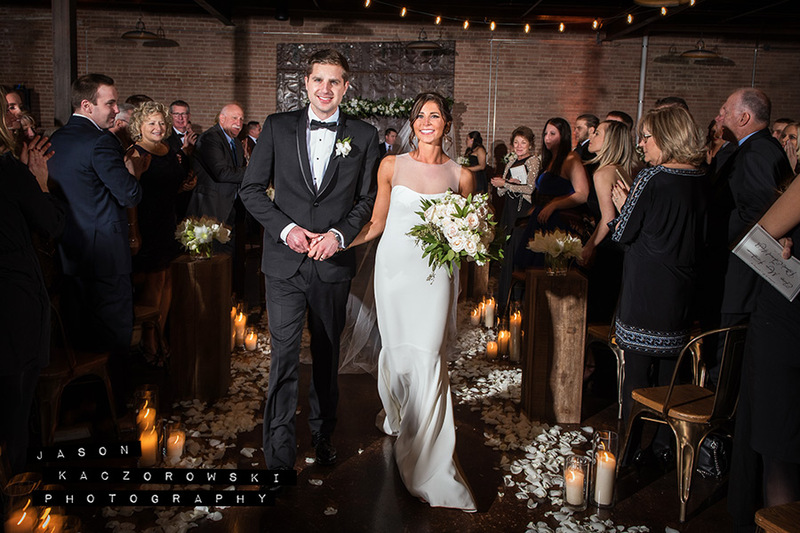 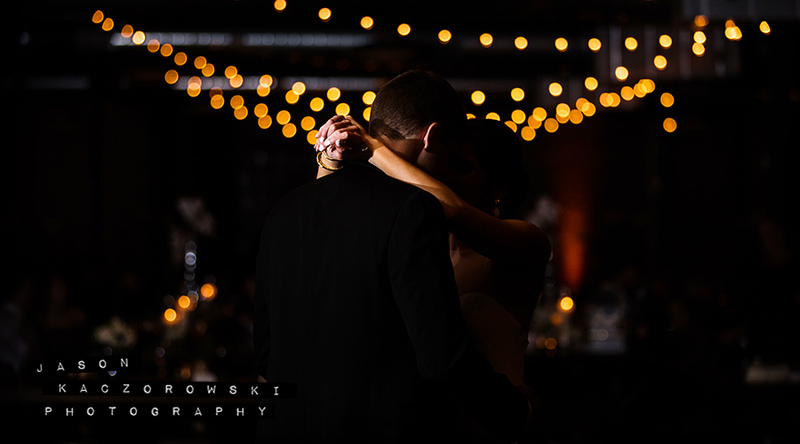 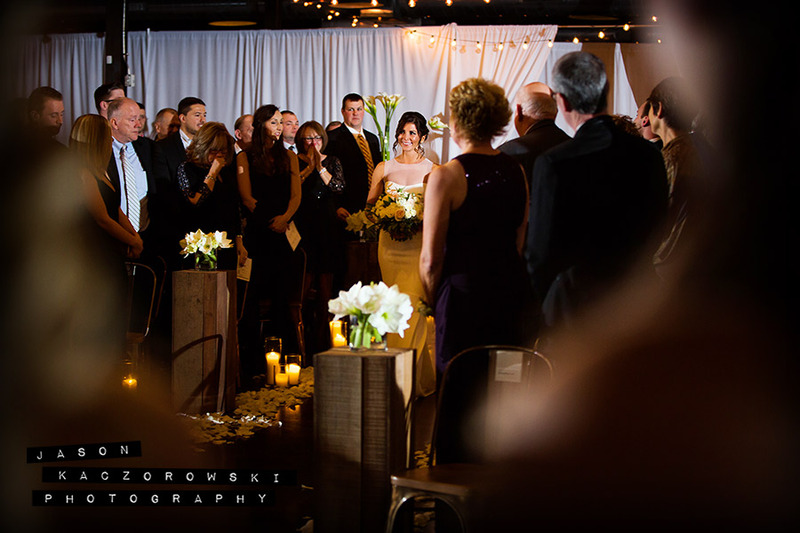 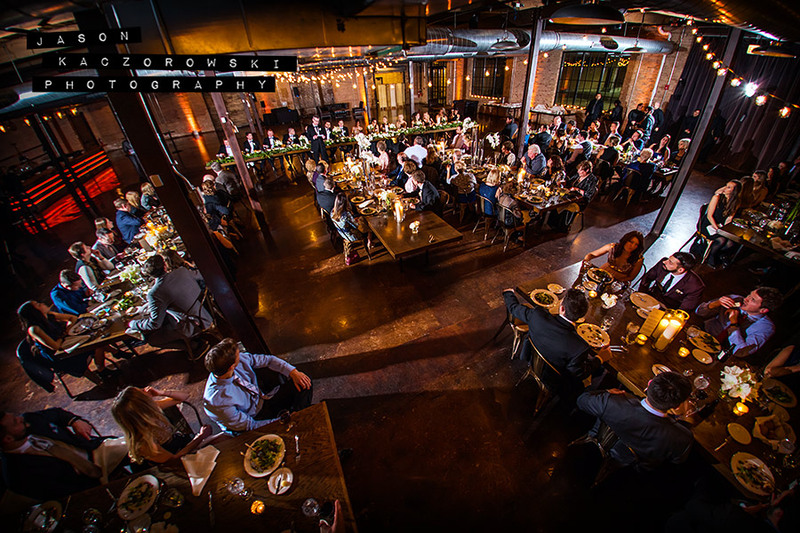 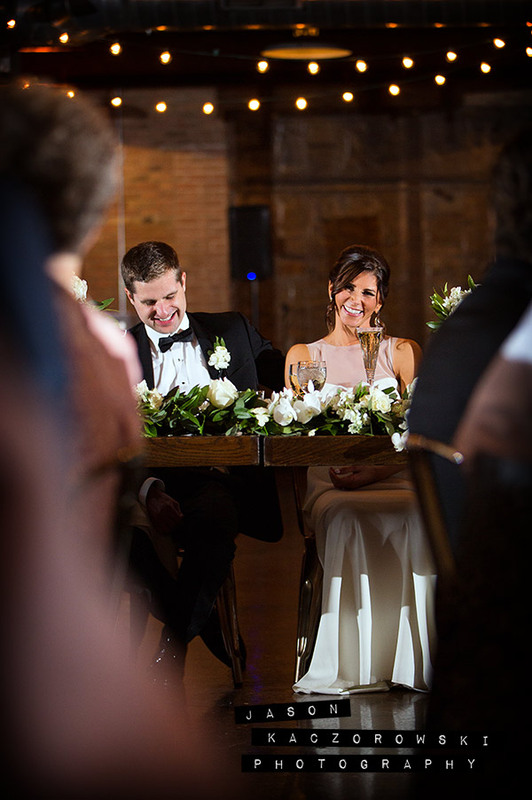 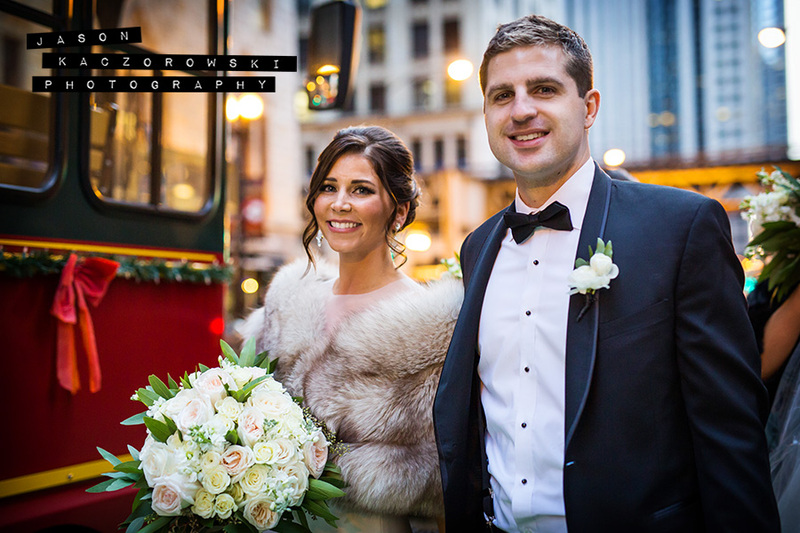 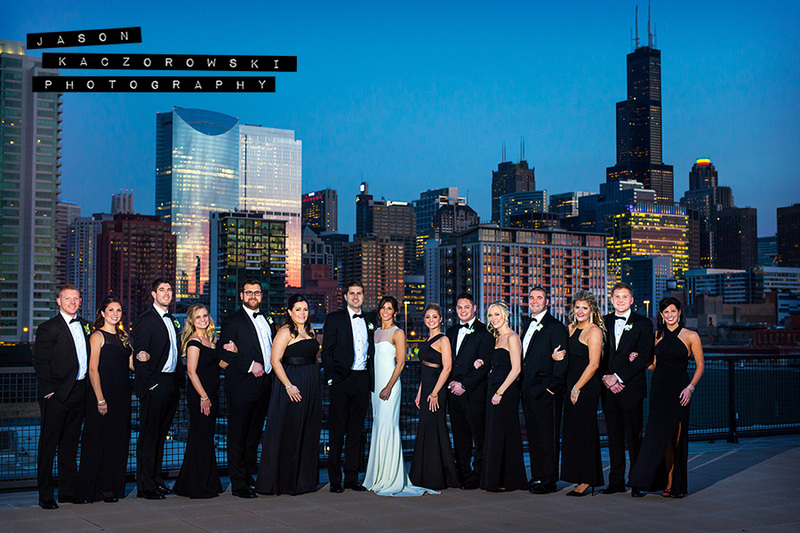 Morgan Manufacturing is an elegant industrial wedding venue in Chicago’s hip West Loop Warehouse District. 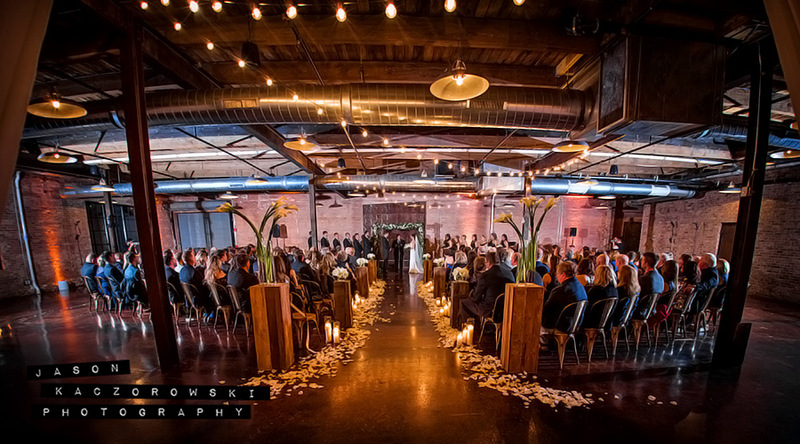 It’s a sizable and unique space which can accommodate up to 650 guests for a seated wedding reception and can host a staggering 1750+ guests for a standing wedding ceremony. 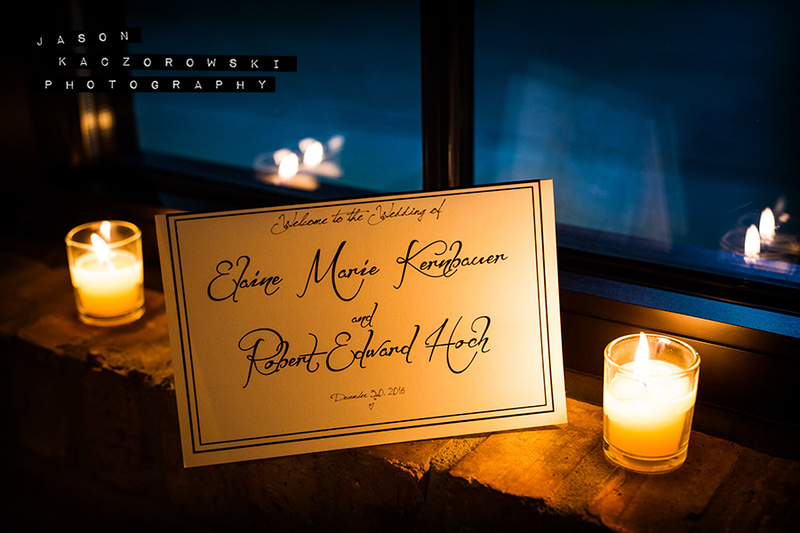 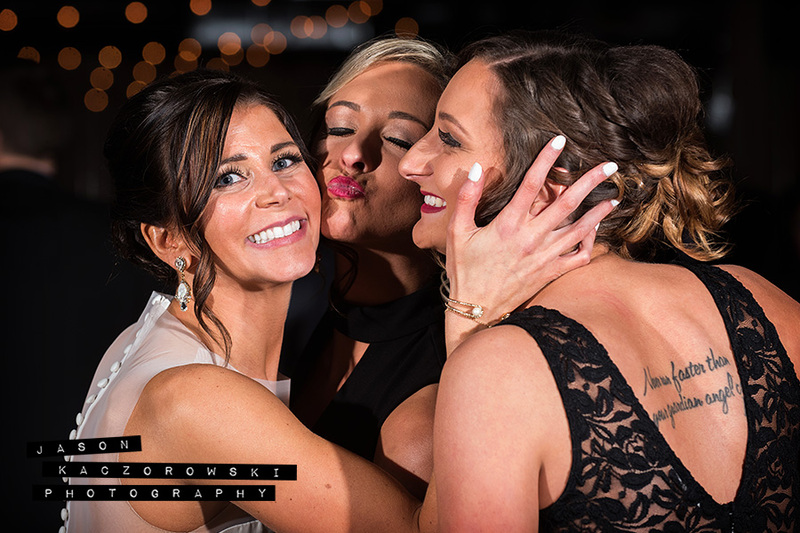 (above) Elaine’s Matron of Honor Bridget Storrs’ husband was the couple’s wedding officiant. 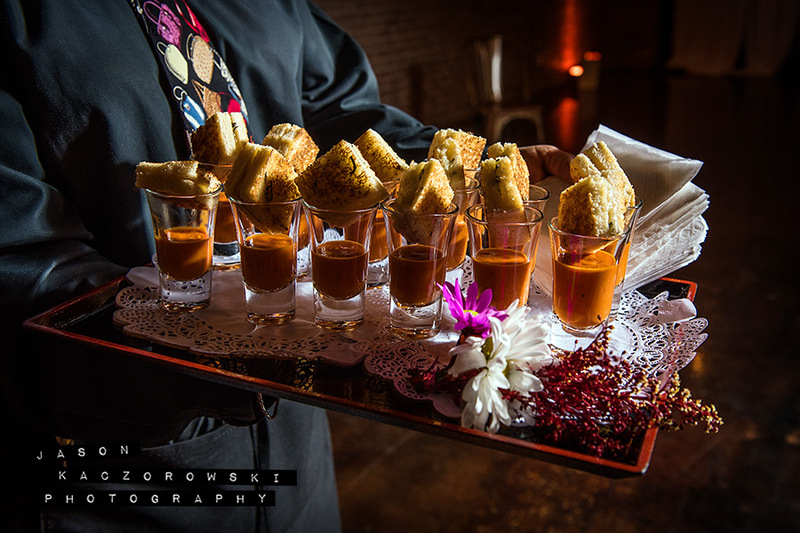 (above/below) Cocktail hour appetizers featured Grilled Cheese with Tomato Soup Shooters and yummy Mac & Cheese! 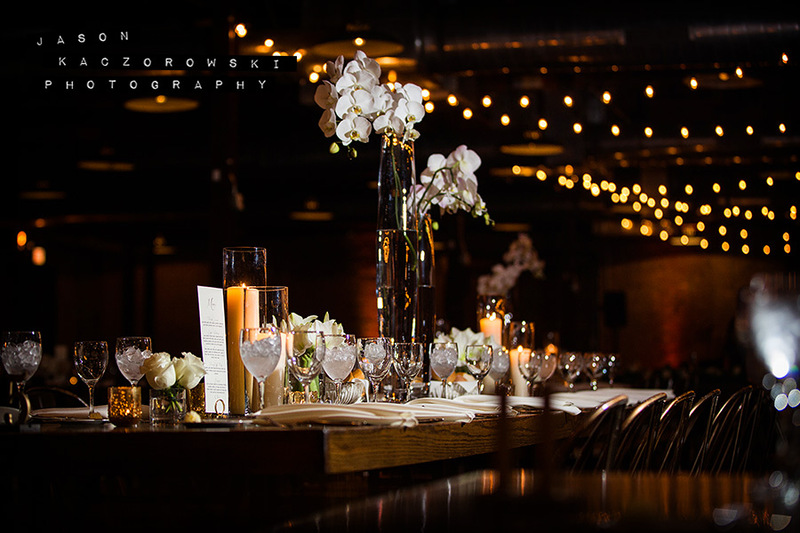 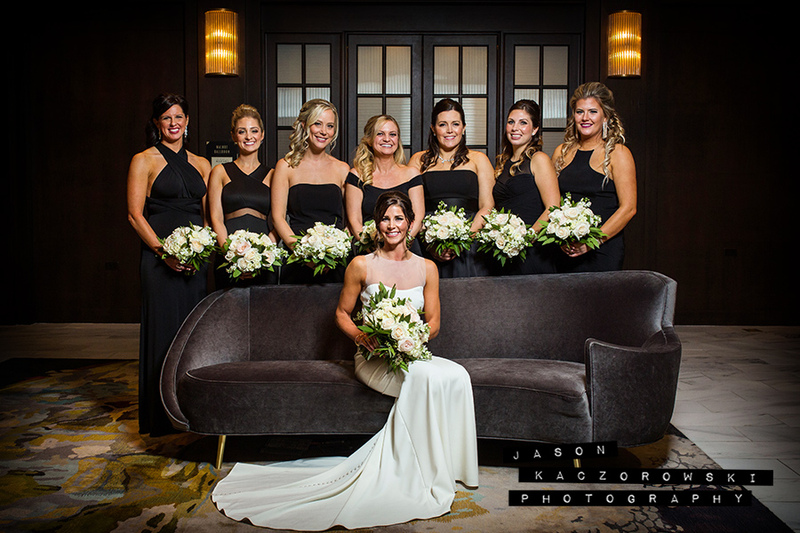 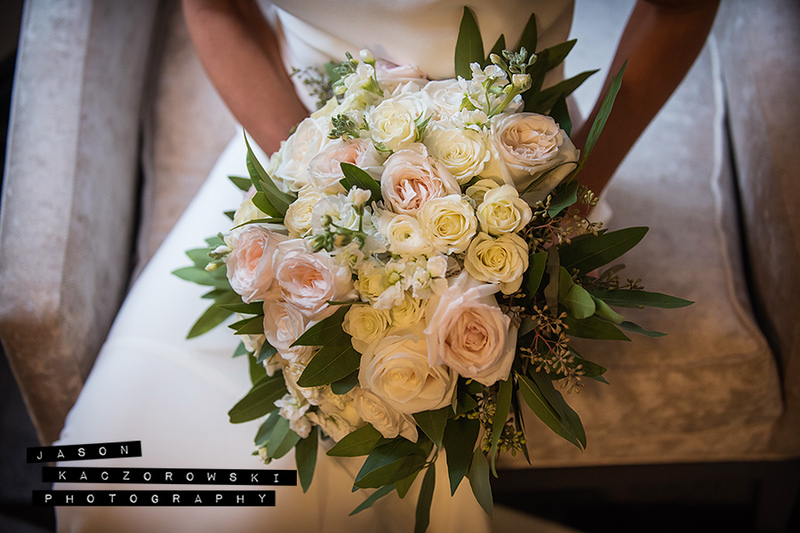 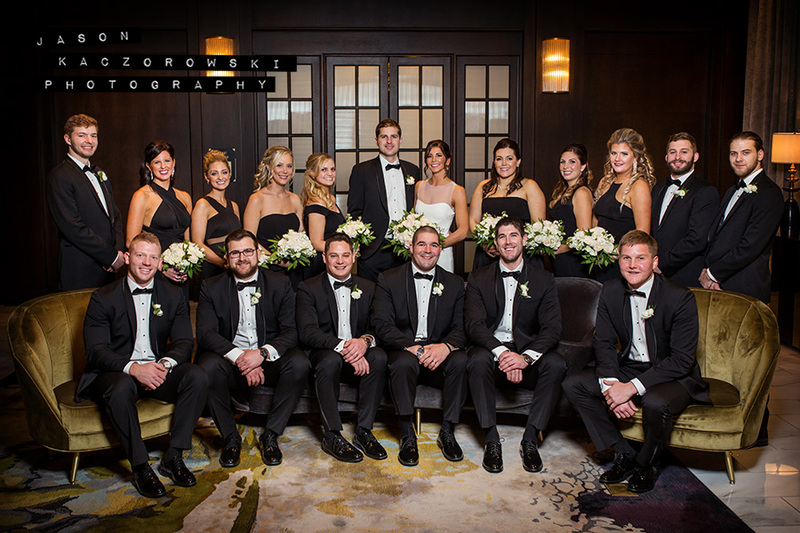 Steve’s Flower Market created beautiful arrangements of fragrant floral décor to adorn the industrial ballroom. 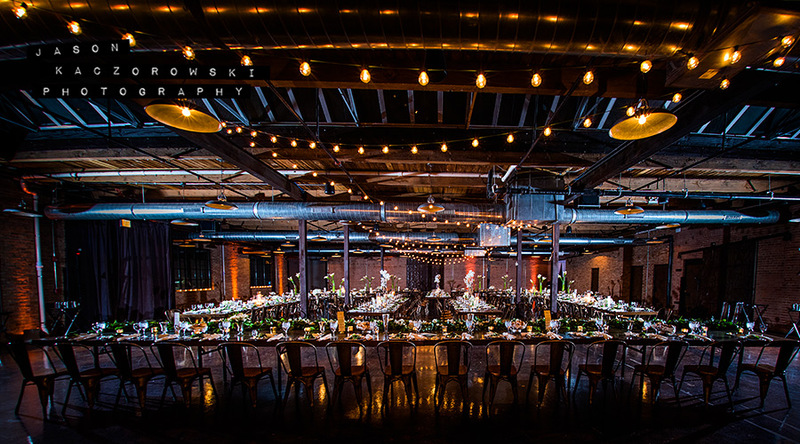 (above) Morgan Manufacturing features over 30,000 square feet of world-class event space with Chicago swagger, designed around a concept of modularity and industrial elegance. 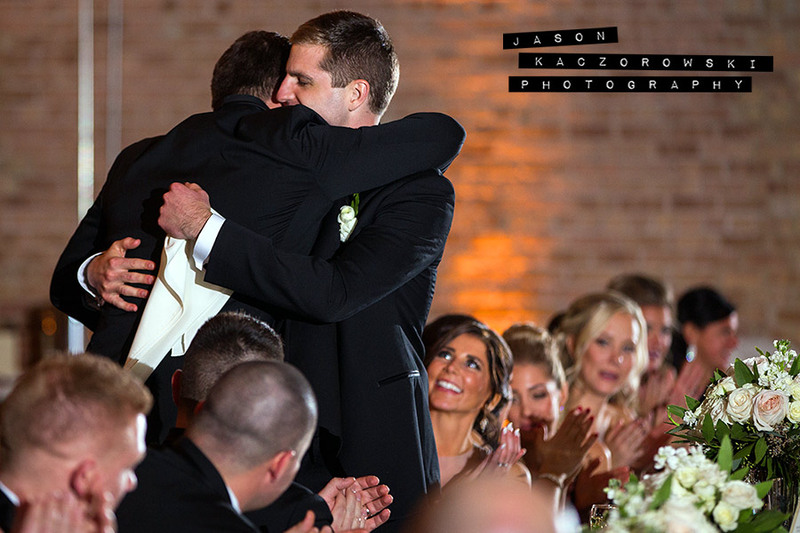 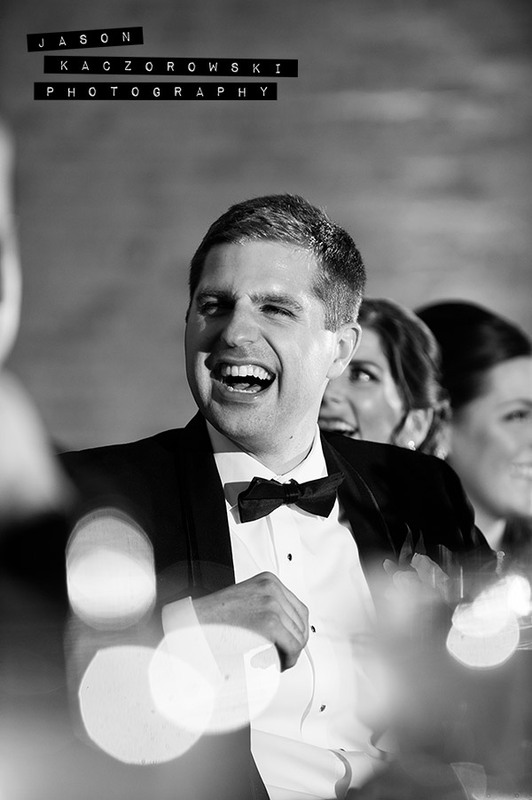 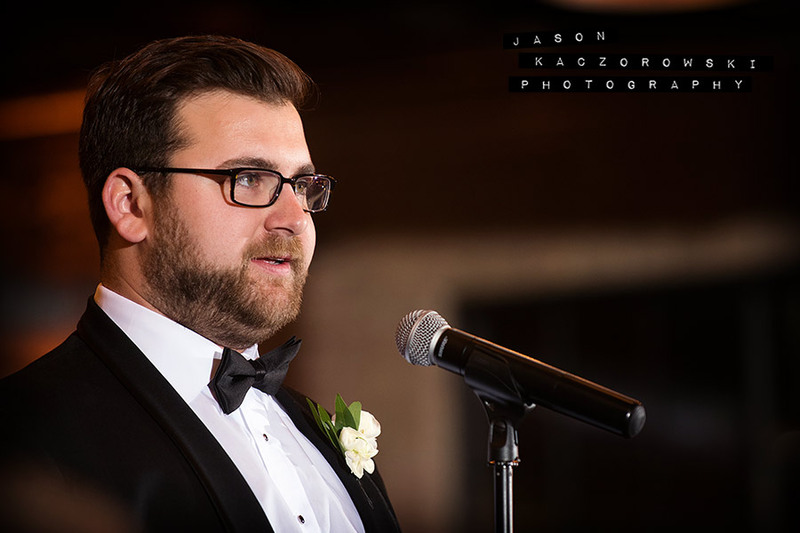 Rob’s Best Man, Matt, regaled guests with stories of their devotion for ‘Seinfeld’ and their lifelong friendship. 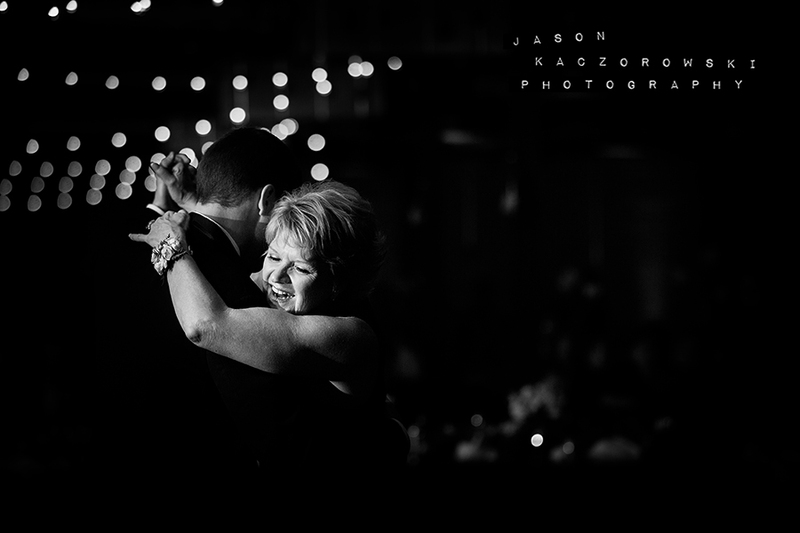 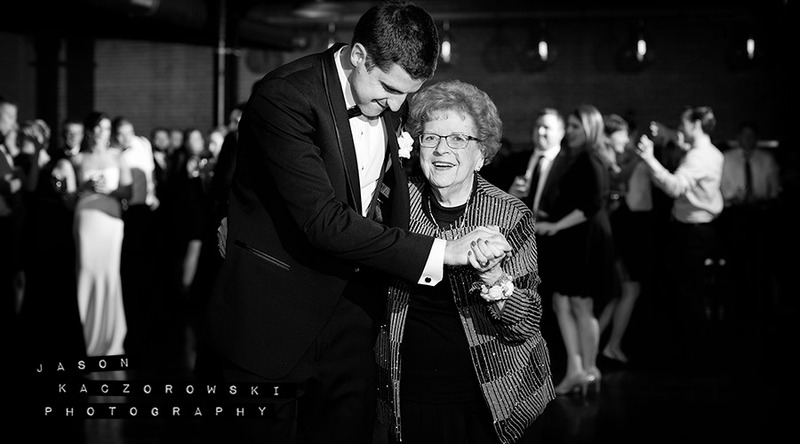 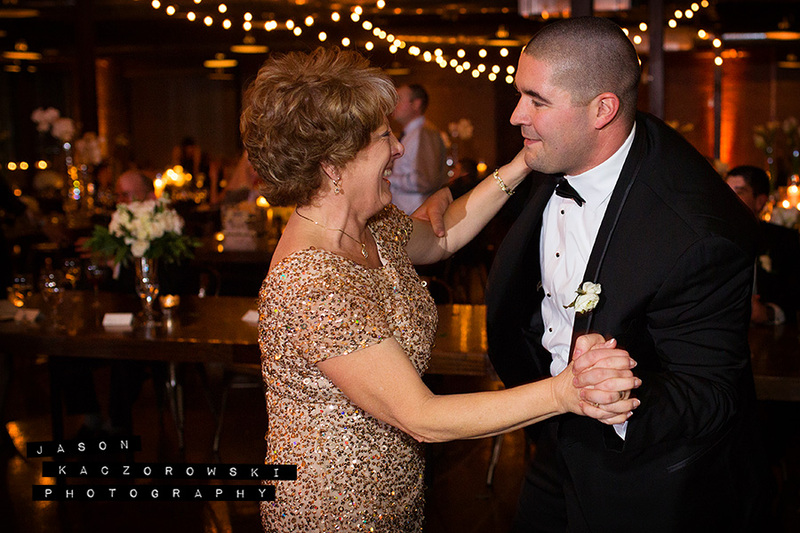 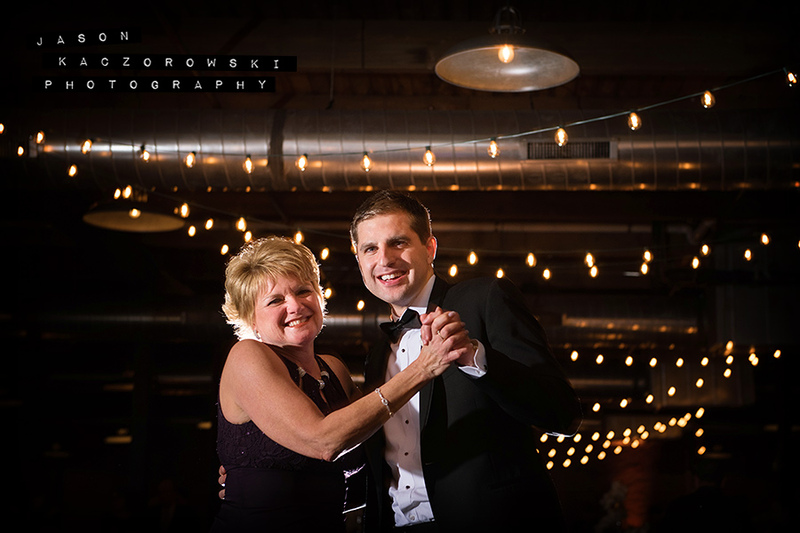 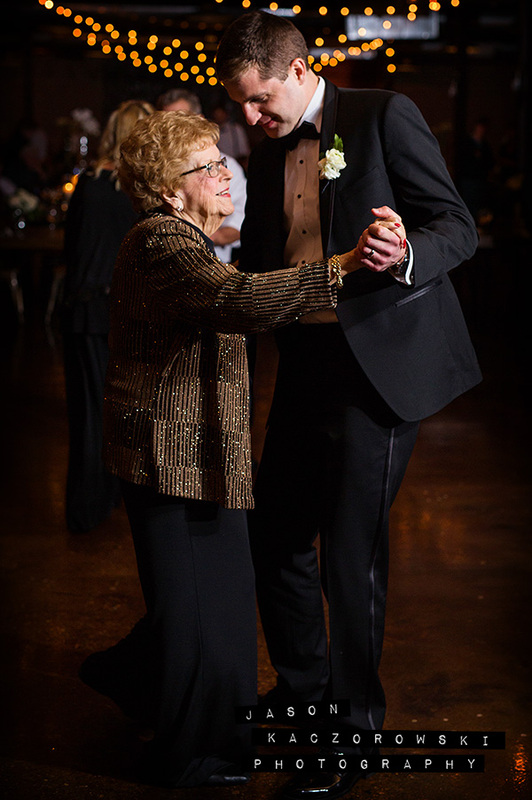 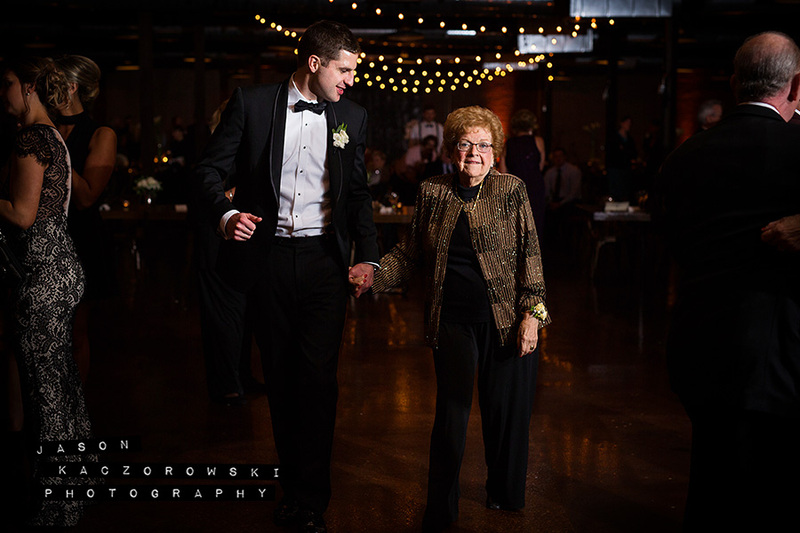 Rob danced with his Grandmother, June, who just celebrated her 90th birthday and still has the moves on the dance floor!